Home Standing Committee ARRIVAL OF THE NO. 1 ANGLICAN. The Archbishop, Metropolitan and Primate of all Nigeria (Anglican Communion), Most Rev. Nicholas D. Okoh arrived the Osubi Airport exactly 3:40pm, Monday February 4, 2019 with his entourage and pageantry, which include funfare, traditional dances and match parade mounted by Anglican Communion Brigade. 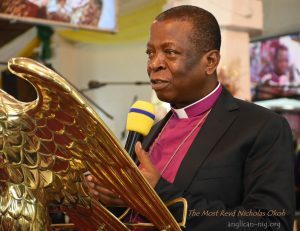 Archbishop Nicholas Okoh on his arrival in a brief chat with newsmen said with the Church of Nigeria (Anglican Communion) Standing Committee meeting holding in Warri, Delta State will be liberated and that the gate of hell will not prevail. He was received by Bishops of the Province of Bendel including the host Bishop of the Diocese of Warri, the Rt. Rev. Christian Esezi Ide, JP and the Archbishop of Ecclesiastical Province of Bendel, Most Rev. Friday, Imaekhai. The Primate cautioned the Church members to be cautious of the time and not move about indiscriminately and obey rules and regulations guiding them in the programme. A brief welcome service heralded, the Primate, Archbishop and Metropolitan of the Anglican Church, the Most Revd Nicholas Okoh at the Cathedral Church of St. Andrew Warri, 22 Okere Road. The service which was conducted by the Venerable Paul Whiskel, the Vicar of the Cathedral, opened with hymn: “Guide me O Thou Great Jehovah”. 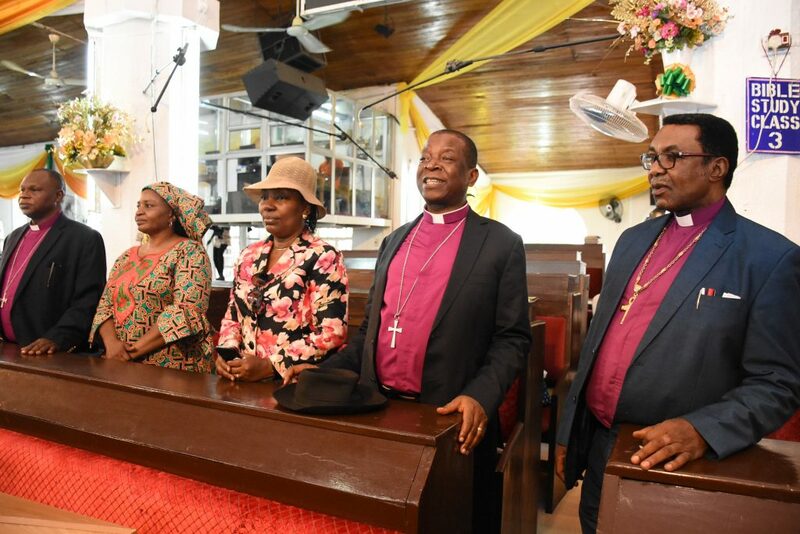 Primate Okoh also emphasized that punctuality the soul of business was important for the serious business at hand.He finally welcomed all again and prayed God to shepherd all through the deliberations.